TFT Proto 5" carries a 800x480 HT050AWV40T TFT screen covered with a 4-wire resistive touchscreen panel. To drive the 262k-color display, there's an SSD1963 graphic controller with a 8/9/16/24-bit MCU interface that includes a deep-sleep power saving mode. 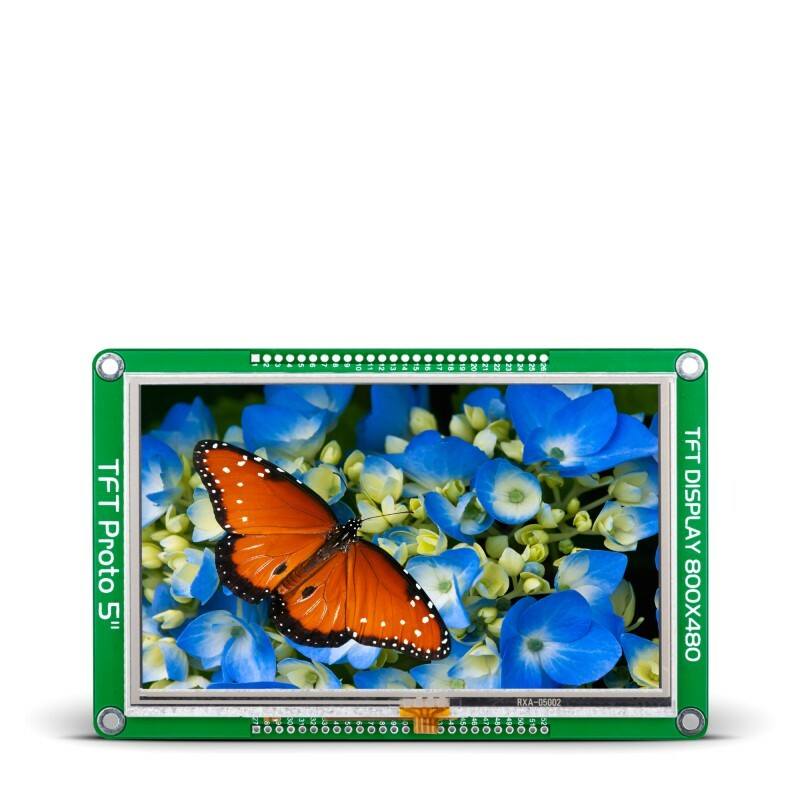 TFT Proto 5" carries a 800x480 HT050AWV40T TFT screen covered with a 4-wire resistive touchscreen panel. To drive the 262k-color display, there's an SSD1963 graphic controller with a 8/9/16/24-bit MCU interface that includes a deep-sleep power saving mode (accessed through the GPIO0 pin on the side of the board). The touchpanel is driven by an advanced STMPE811 controller. The board is lined with two rows of 26 pins for interfacing it with your MCU. TFT Proto 5" uses a 3.3V power supply only.